The Internet is the place where nothing goes to die. We agree, and are adding this caveat: Don’t post anything you wouldn’t want hanging in an art gallery. This month, painter and photographer Richard Prince reminded us that what you post is public, and given the flexibility of copyright laws, can be shared — and sold — for anyone to see. 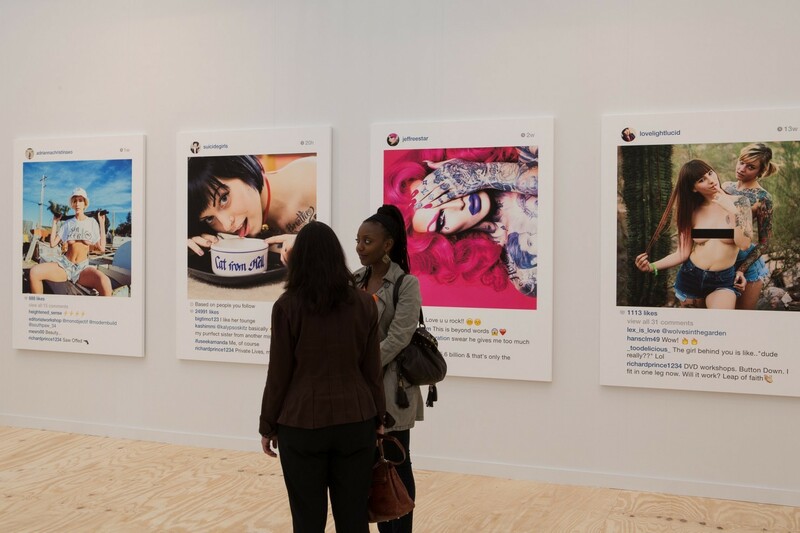 As a part of the Frieze Art Fair in New York, Prince displayed giant screenshots of other people’s Instagram photos without warning or permission. The collection, “New Portraits,” is primarily made up of pictures of women, many in sexually charged poses. They are not paintings, but screenshots that have been enlarged to 6-foot-tall inkjet prints. According to Vulture, nearly every piece sold for $90,000 each. In other words, Prince could make slight adjustments to the photos and call them his own. This is what he did with the Instagram photos. Although he did not alter the usernames or the photos themselves, he removed captions. He then added odd comments on each photo, such as “DVD workshops. Button down. I fit in one leg now. Will it work? Leap of faith” from the account “richardprince1234.” The account currently has 10,200 followers but not a single picture — perhaps so you can’t steal his images in return? “New Portraits” first debuted last year at Gagosian Gallery on Madison Avenue, the same location where the artist displayed the Rastafarian images he was sued for. Basically, if someone copies your Instagram to an account of their own, the company can do something about it. If they copy your work to somewhere outside of the social network, like a fancy New York gallery, you’re on your own. Prince appears to be enjoying the controversial attention. He has been re-tweeting and re-posting his many critics.